Sjaad Hussain was born and raised in England and began his pursuit in studying the sacred sciences in Damascus Syria. After studying Arabic language in Damascus he began studying the sacred sciences full time under the tutelage of Shaykh Rasul Baksh Sa’eedi. Over a period of 9 years he studied all the major sciences and gained teaching licenses (Ijazat) in them. He also studied extensively under numerous scholars including Shaykh Muhammad al-Yaqoubi, Shaykh Muhammad Jum’ua, Shaykh ‘Ala-Uddin al-Kurdi and Shaykh Yasser Qureshi. He is the founder of the Path to Salvation Diploma in Classical Islamic Studies and the Sacred Texts Syllabus. 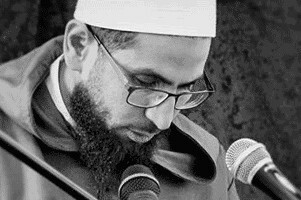 He is currently pursuing advanced studies in Islamic Theology and Western Philosophy as well as working on several academic works including a Primer in Arabic grammar and an extensive commentary on the famous “Poem of the cloak” of al-Busiri.